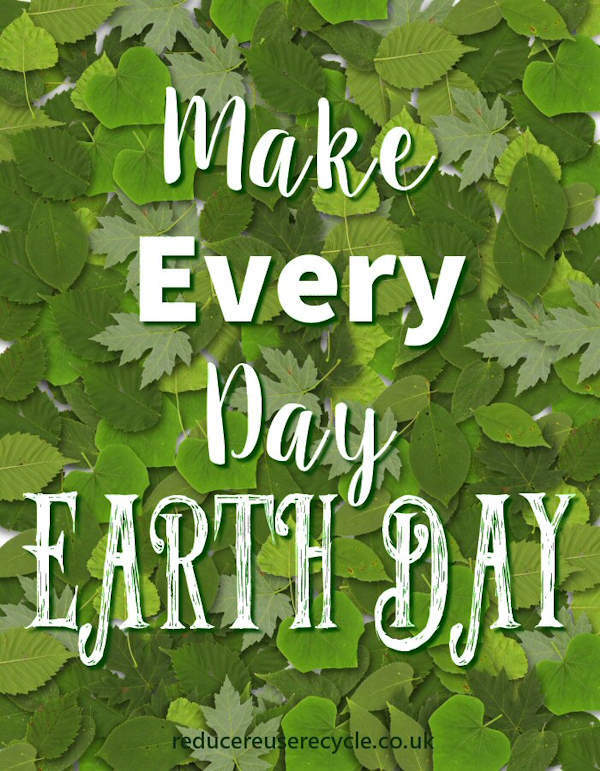 Earth Day is celebrated on 22nd April each year, around the world, but we believe that you should make every day Earth Day. Remind everyone with this free printable. Put it on your wall and let everyone know that you mean it! Print it out to hang on your wall! This printable is free to download for personal and educational use only. They are not to be copied, reproduced, sold or distributed without prior permission of Reduce Reuse Recycle.